Monterey’s best New Year’s Eve celebration is the Aquarium’s “Silver Fishes and New Year's Wishes” an evening of fabulous music, dancing, treats and of course the shimmering aquarium and its up-front view of an amazing watery world. The ocean front Monterey Bay Inn and Spindrift Inn are joining the party with a “New Year Wishes” package that includes car service to and from the Aquarium’s party, a sumptuous breakfast delivered on New Year’s Day and a deluxe guest room. 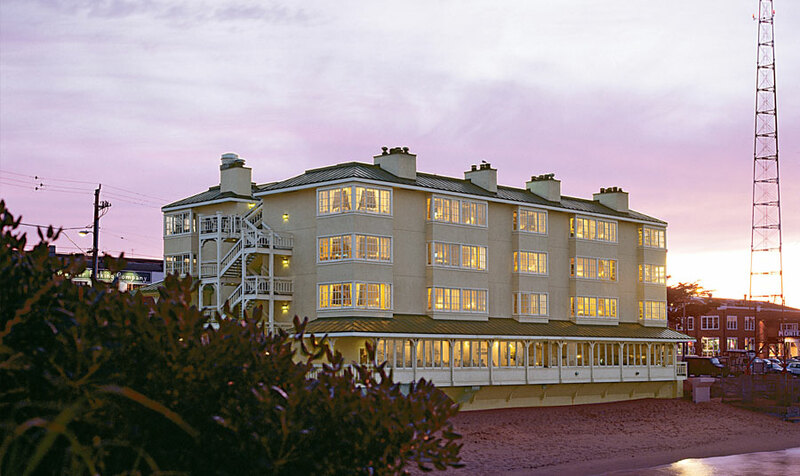 Available only on December 31, rates at the romantic Spindrift Inn start at $249 per night for an ocean front room and $199 per night for a Cannery Row view room; rates at the Monterey Bay Inn begin at $249 per night. For reservations or information on these holiday packages, please call 800-982-1986 or visit Monterey Bay Inn or the Spindrift Inn to make your reservations online. For information about New Year’s Eve at the Aquarium, please call 866-963-9645 or visit www.montereybayaquarium.org.